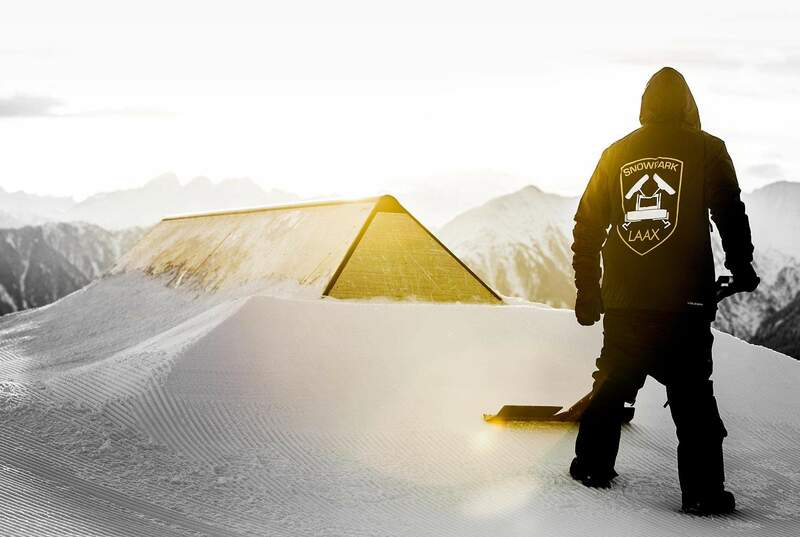 LAAX is the leading Freestyle-Resort in Europe and includes four snowparks, a superpipe and minipipe, the new freestyle slope, the freestyle academy and Europe’s first freestyle indoor base. 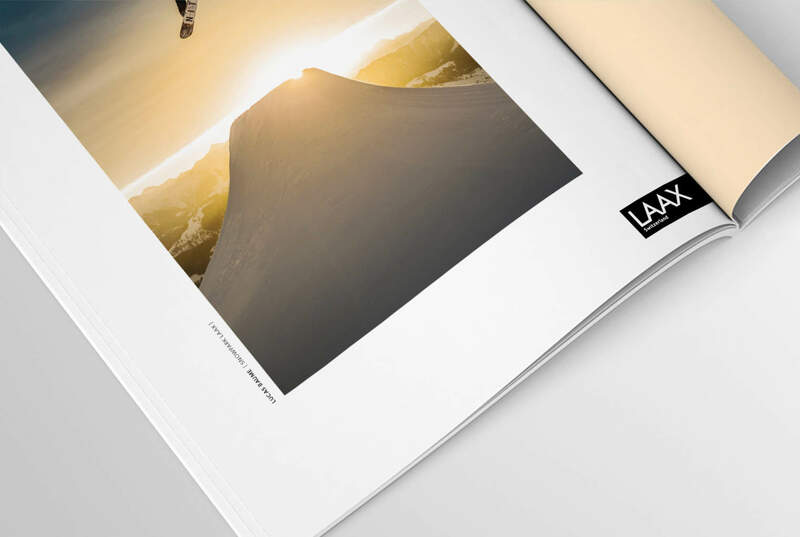 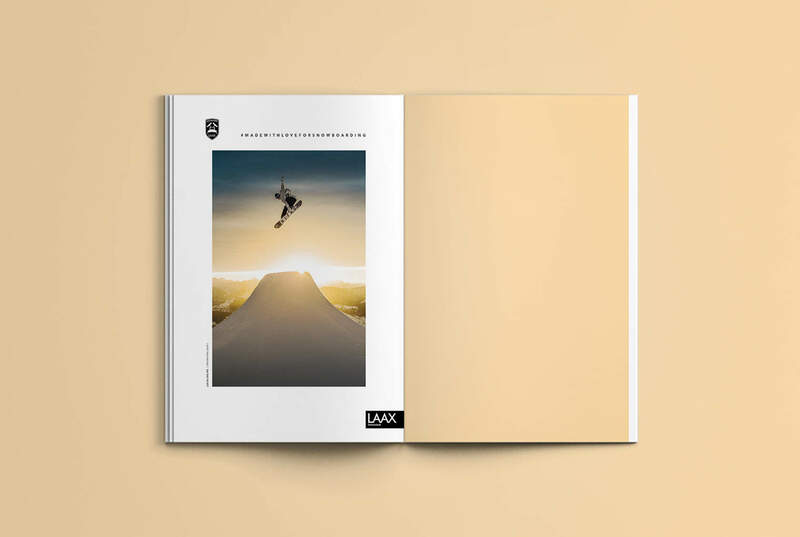 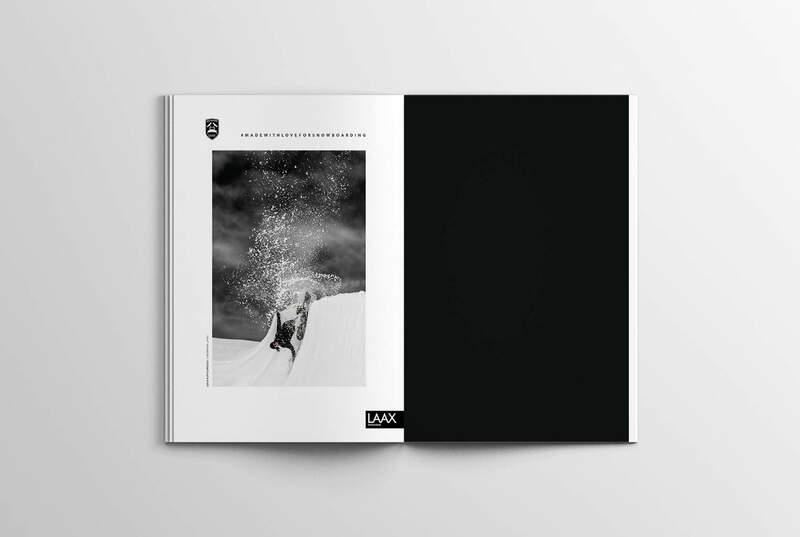 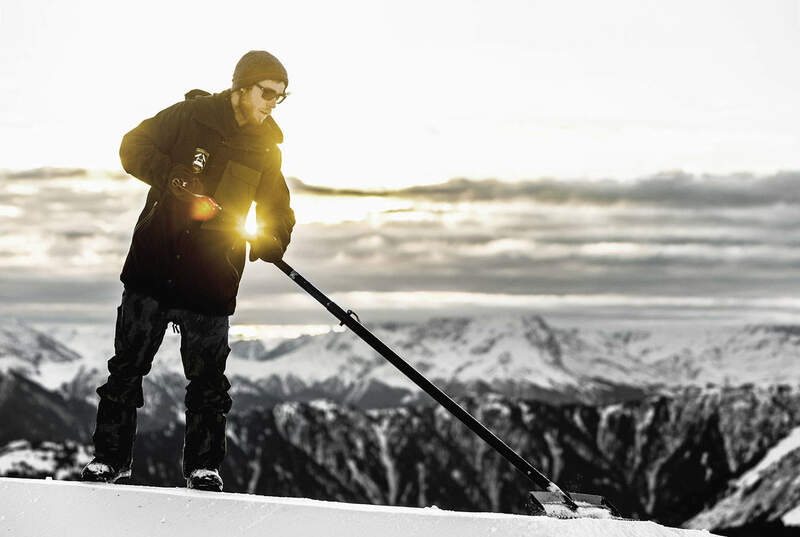 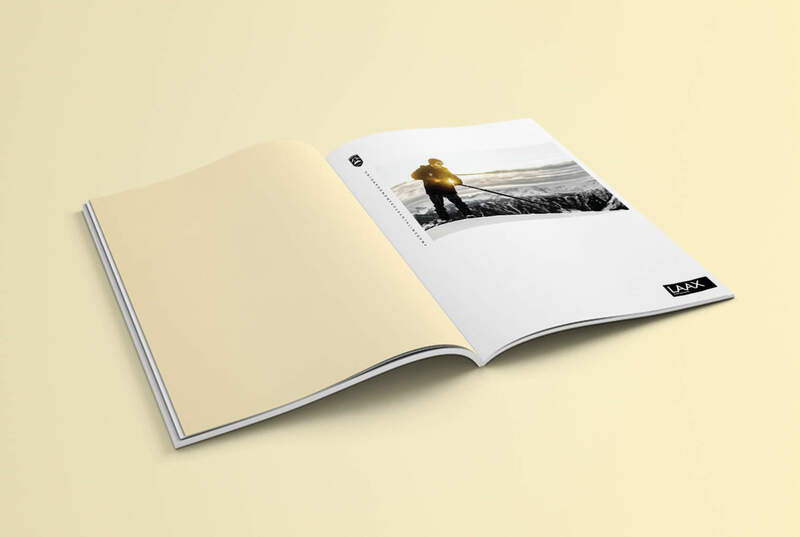 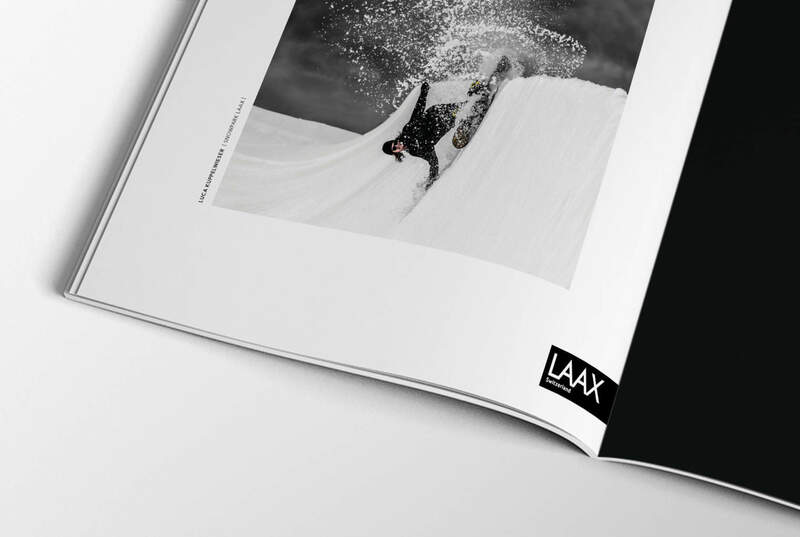 We were stoked to hear from our friends at «Snowpark LAAX» again, with an other opportunity to work on their print and digital advertising for the winter season 2015/2016. 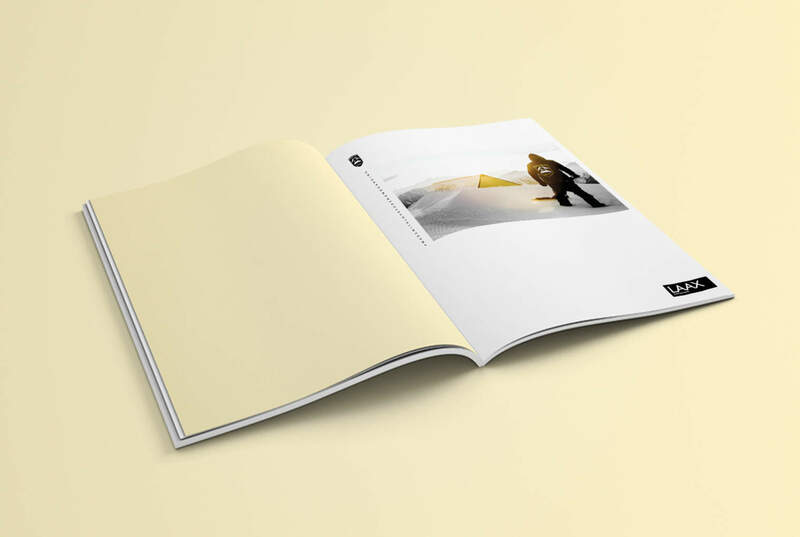 Simplicity, whitespace and asymmetry were just a few of the keywords in the design brief. 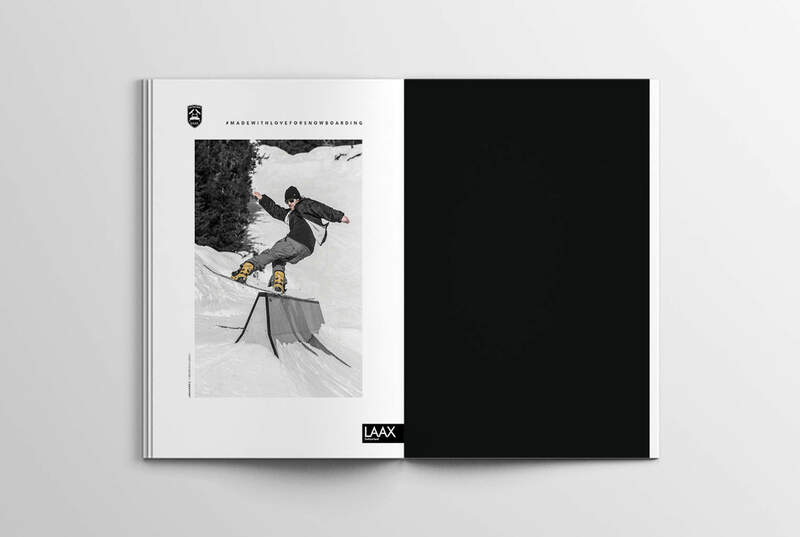 With simple typography and images in greyscale with a hint of colour, these adverts are truly #madewithloveforsnowboarding!